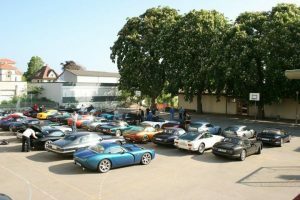 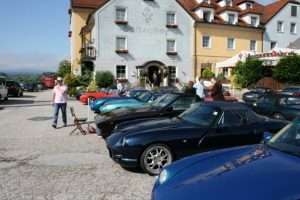 Two weekends ago nearly 40 TVRs made Swiss roads red hot.The TVR Car Club of Switzerland organized a long trip around the country to taste roads and fair landscapes of Switzerland. 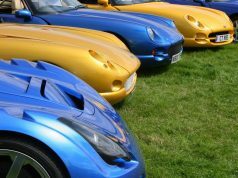 As images show all production of recent years was at show: TVR Tuscan, TVR Chimaera, TVR Cerbera, TVR Tamora, TVR T350, Griffith and TVR Sagaris. 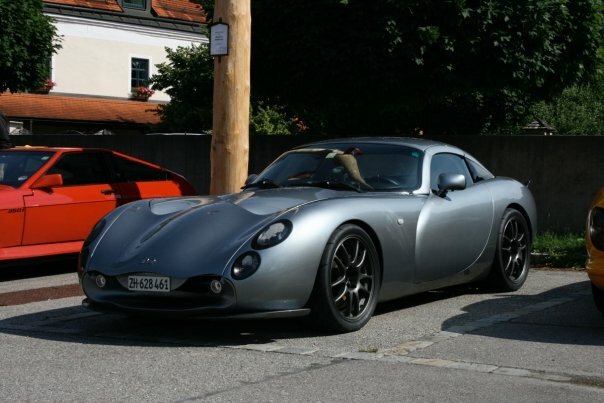 But also a Trident and TVR Seacs. 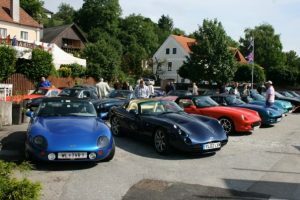 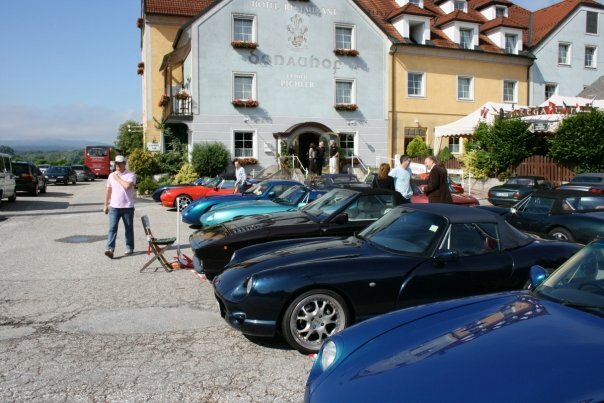 Many cars came from Germany where passion of “our” English favourites is very well kept alive and promoted by members of TVR Car Club of Germany. 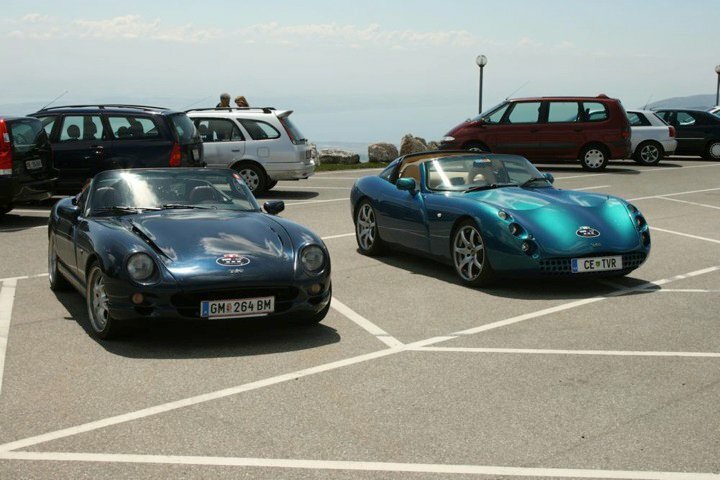 European passion for TVRs would deserve a big meeting in centre of Europe, easily accessible for all the most important clubs: Holland, France, Germany, Switzerland, Austria and Italy. 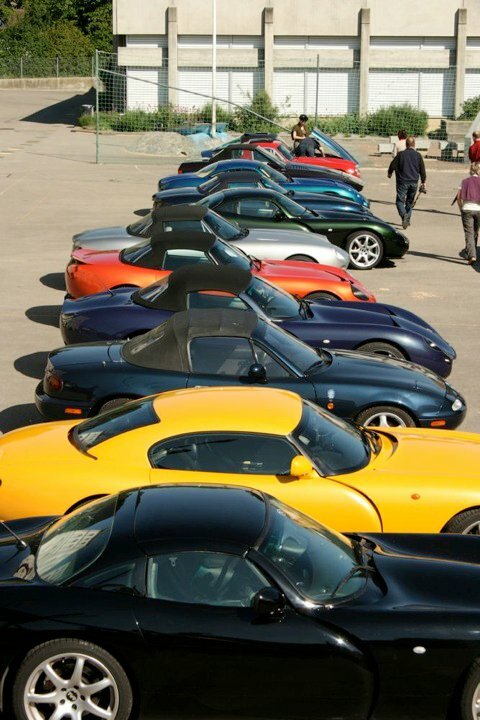 How many cars could attend this event: I’m sure more than one hundred. English TVR drivers could be proud of us. 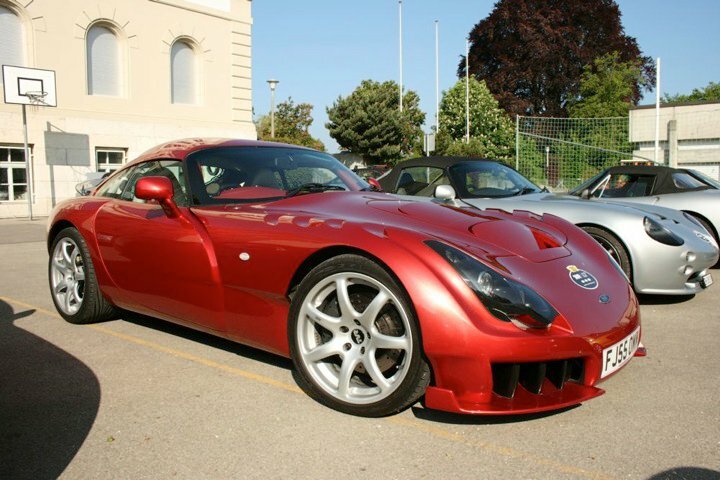 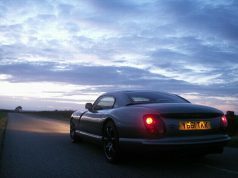 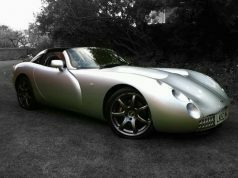 Images property: Kristian Les (TVR Tuscan Mk1 Red Rose RHD). 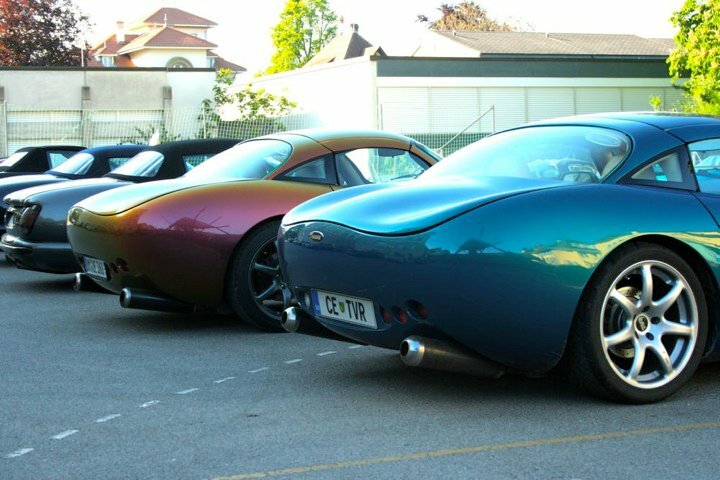 I also see a nice Trident.